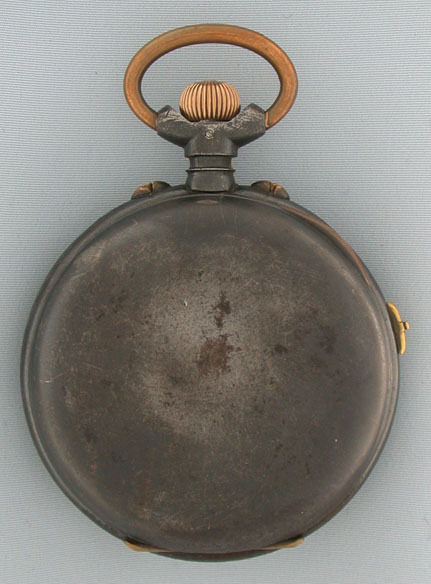 Very scarce large Swiss two-tune gunmetal musical watch circa 1890. 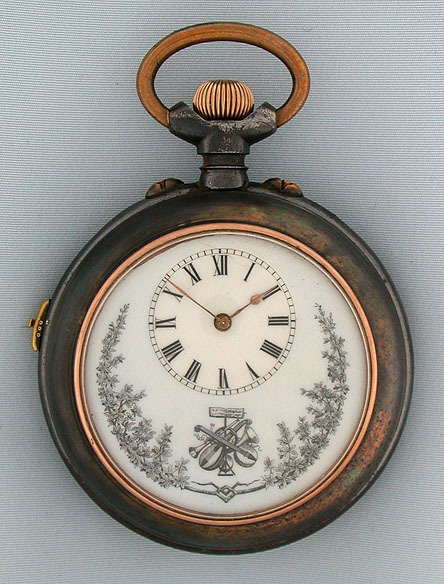 Two-tone fully restored enamel dial decorated with musical instruments and foliage. Nickel 10 jewel cylinder movement. Roller musical mechanism. Sprightly tunes. 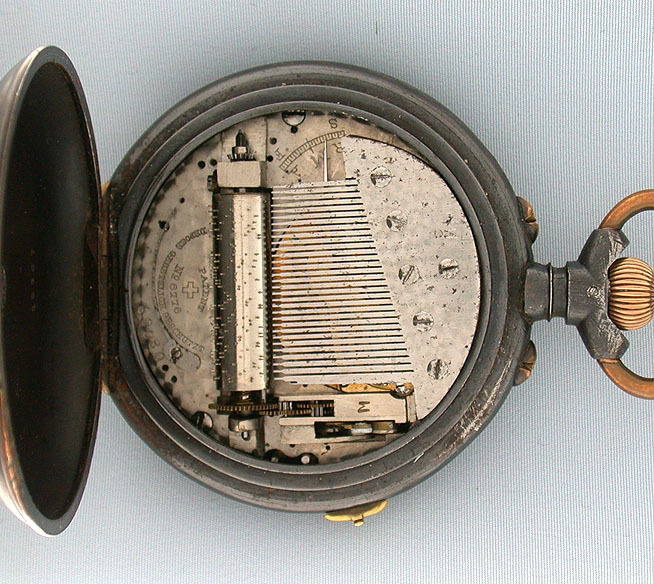 Two-tune musical watches from any period are quite rare.